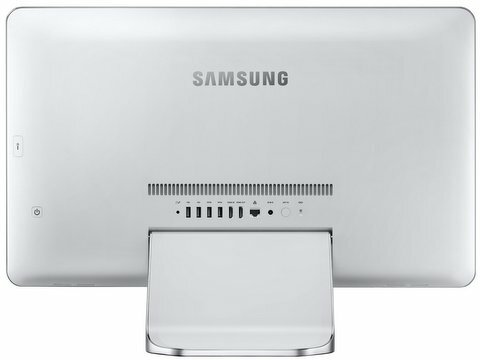 Samsung has launched new all in one PC the ATIV One7 2014 Edition. The new Samsung ATIV One 7 comes with vigorous specs and portable design. It has 24 inch Full HD capacitive touch screen display with 10 point multi touch. It runs on latest Windows 8.1 operating sytem and gains the strength from 4th generation Intel Core i3/i5 processor with integrated graphics. It packs with a 8 GB of internal storage and 1TB HDD / 128GB SSD + 1TB HDD. It has 1 Megapixel front facing camera and its weighs 7.3 KG. It has 2 x USB 3.0 , 2 x USB 2.0, HDMI in / out, RJ45, standard audio in out and HDTV jack at the back. More or Less, but the design resembles to the Apple iMac. 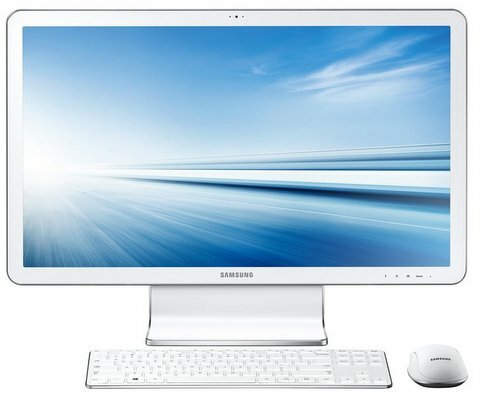 The Samsung ATIV One7 2014 Edition comes with two 7 watts speaker and Bluetooth connectivity. The price of this ATIV One 7 All in one PC is not announced Yet.